Addicted to the Dipping Sauce for Fresh Spring Rolls (Nuoc Tuong)? It’s so amazing, the perfect combination of savory and sweet and fresh spring rolls are incomplete without this special sauce. The best kept secret is it’s super easy to make. It takes just a few pantry ingredients and a few minutes to whip up this delicious dipping sauce. Enjoy! In a medium saucepan, sauté the diced onions and garlic over Medium heat until soft, approximately 3-4 minutes. Add the Hoisin sauce, plum sauce and peanut butter. Stir until all ingredients are well-blended. Remove from the heat and spoon into sauce bowls. 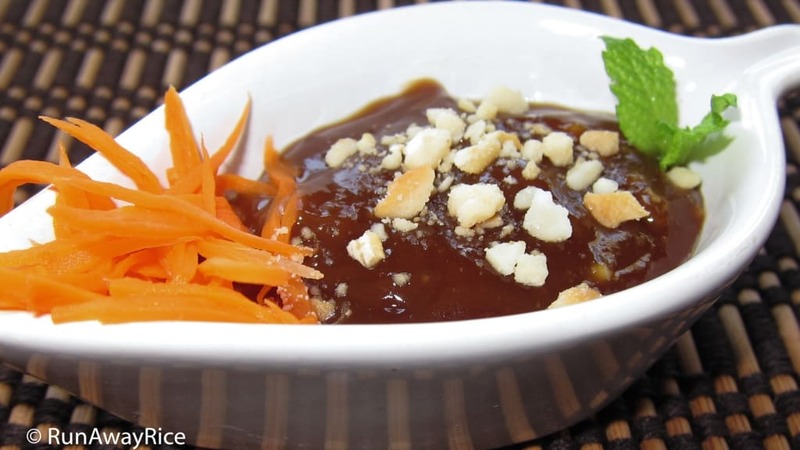 This Dipping Sauce for Fresh Spring Rolls is delicious served warm. Garnish with carrot pickles and crushed peanuts. 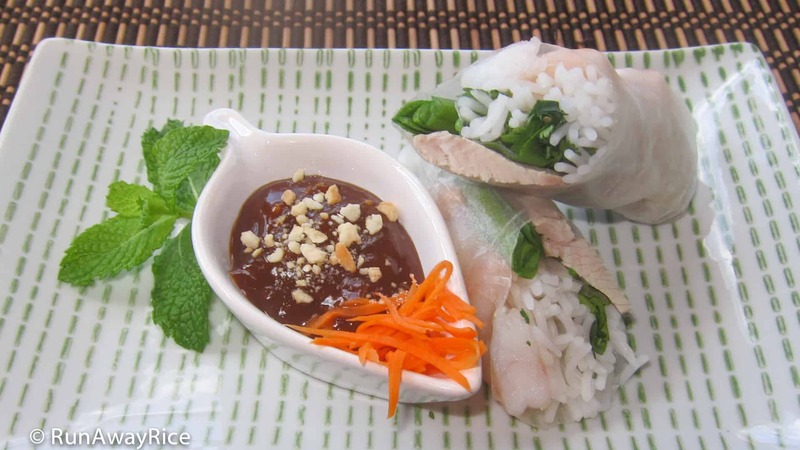 Enjoy with Fresh Spring Rolls / Rice Paper Rolls with Pork and Shrimp (Goi Cuon). Store any remaining sauce in the refrigerator for up to 1 month.